Running an event can be stressful enough, so why bother adding to this by creating another aim or condition for your event? Being greener, however, doesn’t have to be difficult or more expensive – just look at this case study and you’ll already be making a green start. Why would you want to run a green event? How would you run a green event? Why are you organising this event? What do you have to achieve? Who is it for? Is it as sustainable as reasonably possible? The Fringe Sustainable Practice Award Ceremony celebrates Edinburgh Festival Fringe shows making significant efforts to become the most sustainable of the Fringe. Identify your team and share with them the sustainable objectives of your event. Everyone will then be working towards a common green goal. 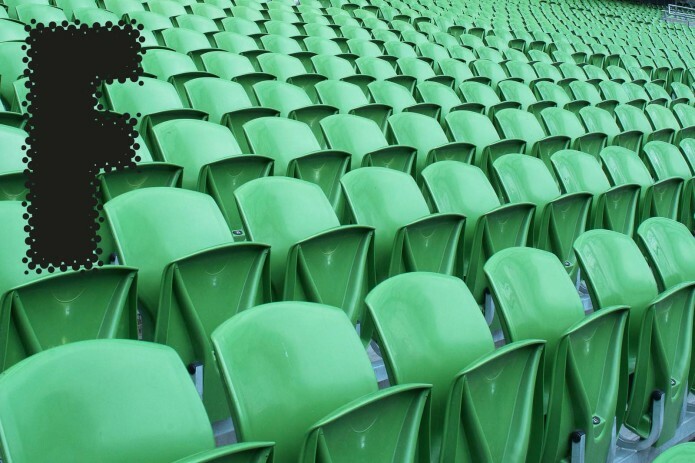 Venue: Find a venue that is part of a green accreditation scheme. 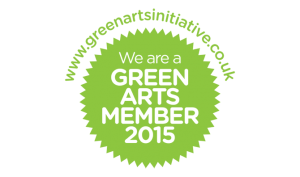 In Scotland, search for a Green Arts Initiative (GAI) venue; click here to find one near you. The GAI supports Scottish arts organisations to be at the forefront of growing an environmentally sustainable Scotland. The FSPA Ceremony will be held in Fringe Central 1, an accredited and proud GAI member. Technical Requirements: Consider where your venues power comes from. Try reducing your electricity use to only vital requirements, and document such power use. If you are carbon footprinting look into offsetting the environmental cost of the electricity used. Catering: Source local and seasonal, and think in terms of minimal waste! Refreshments and catering sourced from two local companies will be provided at the FSPA ceremony. Cornelius Wine & Beer is providing local Scottish beer and cider (note, all glass bottles will be recycled). The Larder is providing us with seasonal canapés. Vegware is supporting our event, and donating eco-friendly plates, cups and napkins. Travel: Get to know the local public travel facilities, and advertise walking routes to nearby attendees. For long distance travel look into trains or car-pools. The FSPA Ceremony will be held in Edinburgh, an ideal city for sustainable transport because of its compact city centre and ample bus and cycle routes. Our award guest speaker, the comedian Jessica Fostekew, unfortunately has a show finishing 5 minutes before the ceremony. After looking into various travel options, even considering a rickshaw, we found the most practical yet sustainable option to be City Cabs – City Cabs support Trees4Scotland in order to account for their carbon emissions, see their carbon neutral policy here. Even if your event is a one off, some of the materials you have used will more than likely come in useful again. Creative Carbon Scotland (CCS) and Edinburgh Festival Fringe facilitate the reuse of production materials at a three-day Swap Shop, see here. If you won’t reuse an item from your event look online to see if someone nearby would (Gumtree is always a good place to start). 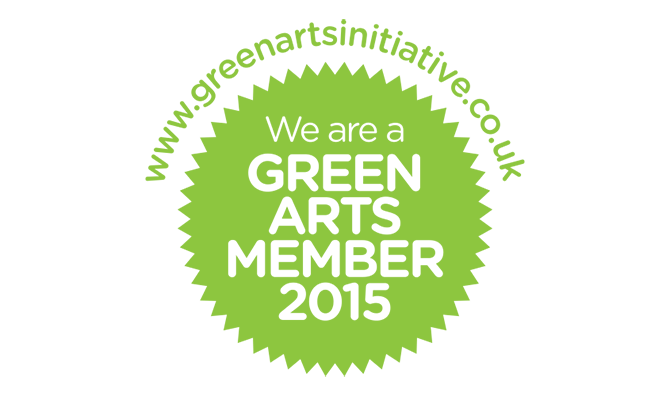 Event attendees want to know how you are greening your practice, so show off your commitment to being green by publicising via print, digital or word-of-mouth channels. Go digital! Come up with innovative ways of publicising your event that allow for smaller, cheaper print runs. Think about using ink stamps, or apps, or clever social media tactics. If needed, use recycled or FSC-certified paper when printing. 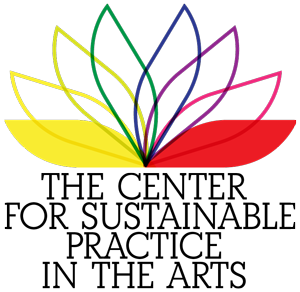 PR Print and Design and EAE print distribution are two companies based in Scotland who ensure sustainable printing and distribution. Make sure you monitor the quantity of print actually used, and reduce print runs when possible. Also, encourage attendees to recycle any flyers you give them. 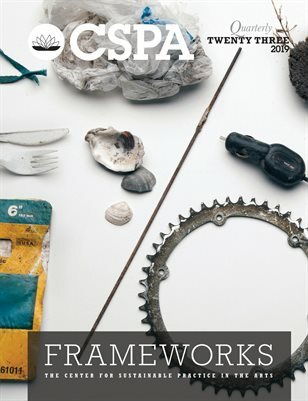 The FSPA Ceremony has been publicised online using both the CCS and the Centre for Sustainable Practice in the Arts webpages, and through our media partner The List. We have built up hype around the ceremony as the award itself has progressed, inviting all award applicants and including the event in our blog updates. Follow us on twitter to see our social media activity. Do a carbon footprint: Carbon footprinting is a way to describe your environmental impact in terms of carbon emissions and is a great way to better understand how you can be greener, see here. Once you understand carbon footprinting you can begin to set yourself targets for future events. Record how individuals are getting to your event, and how they found out about your event. How individuals found out about the event can be a great indicator on what forms of publicity worked and show which areas to reduce investment in (such as paper advertising). For the FSPA Ceremony we are using tools on eventbrite to document both of the above. Hopefully this case study has inspired you to think more carefully on how you can run your event in a more sustainable manner. Not only will your green event have a lower carbon footprint, but it will also allow you to think more creatively and innovatively about the event you are organising! 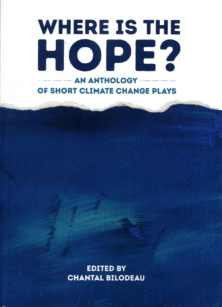 For the Edinburgh Fringe guide on running a sustainable show, click here. Image Aviva Stadium, by Sylvain. The post Running a Green Event: the Fringe Sustainable Practice Award Ceremony appeared first on Creative Carbon Scotland.